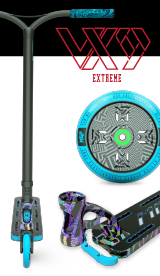 THE NEW VX9 RANGE OUT NOW! 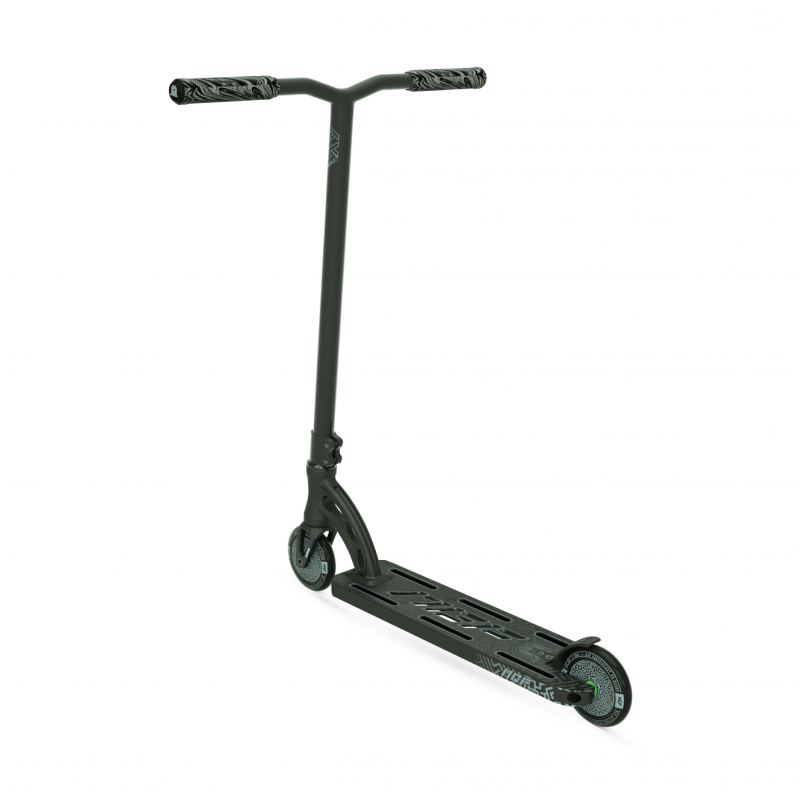 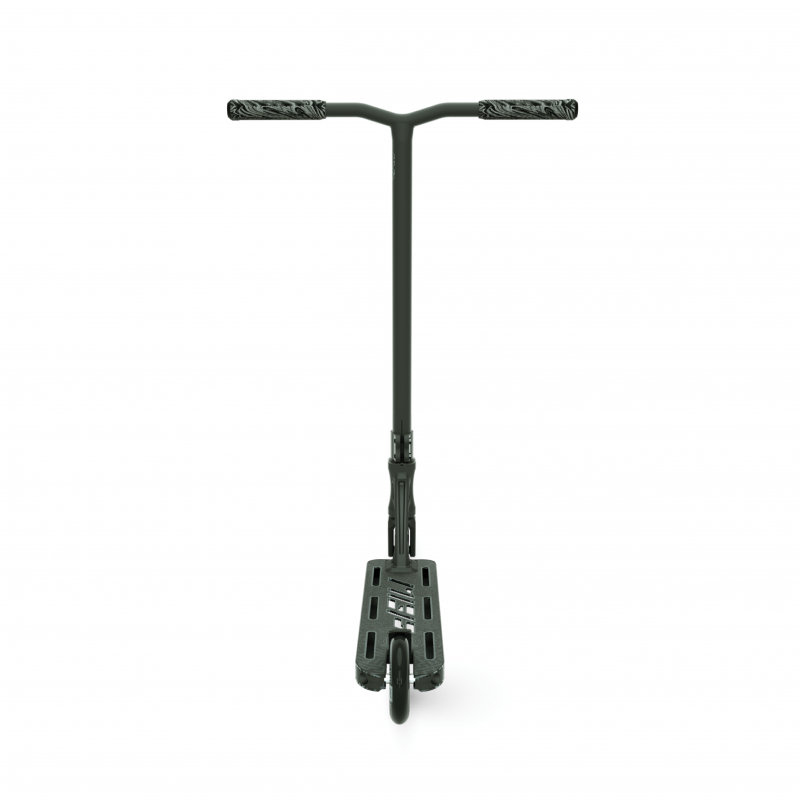 The VX9 Pro Stunt Scooter is designed for riders 6 years and up striking the ideal balance of performance and durability in a super lightweight package. 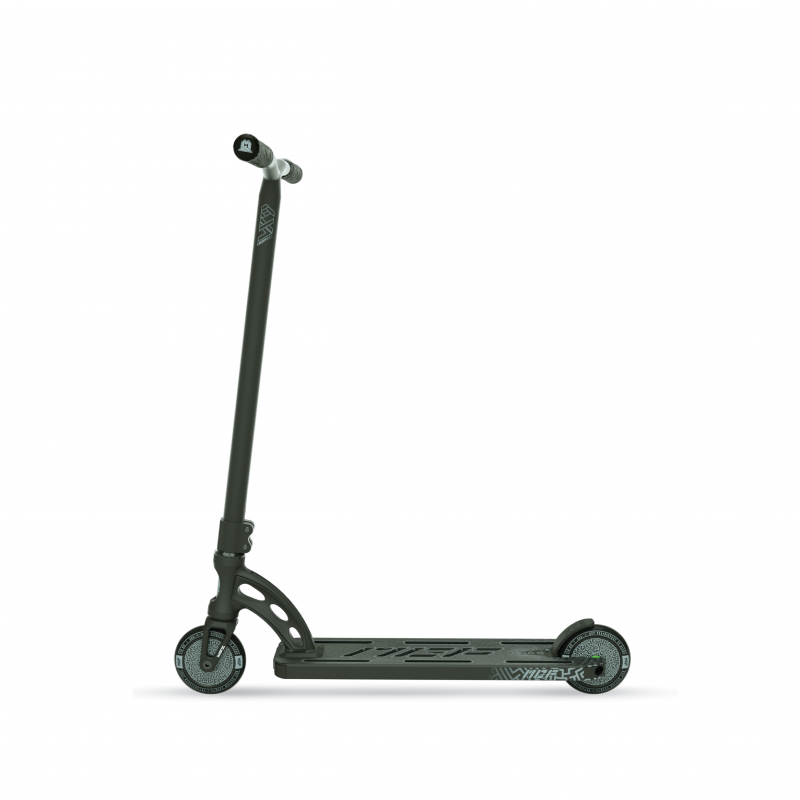 Every element of the VX9 Pro Stunt Scooter has been selected specifically to empower the rider to take their game to the next level in the park or on the street. 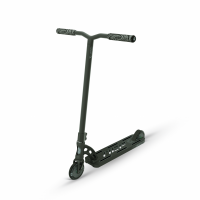 The VX9 Pro Stunt Scooter is now 11.5% lighter with no compromise of Madd Gear’s reputation for industry leading durability and strength. 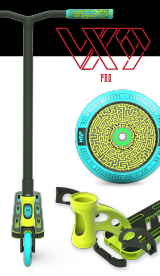 Complete weight is just 3.16 kg / 6.96 lbs for 4” Deck and 3.36 kg / 7.40 lbs for 4.5” Deck. FORK: VOLTAGE THREADLESS 6061 ALUMINUM 120MM FORK / STANDARD IHC. MGP VX9 SCOOTERS FEATURE INTERNALLY FLUTED TUBING IN THE CONSTRUCTION OF THE BARS AS WELL AS THROUGHOUT THE LENGTH OF ALL DECKS. THIS PATENTED PROCESS IS PROVEN TO INCREASE STRENGTH UNDER 3 DIMENSIONAL LOADS AS WELL AS STIFFNESS WITHOUT ADDING ADDITIONAL WEIGHT TO THE MATERIAL. 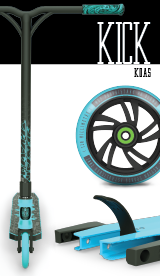 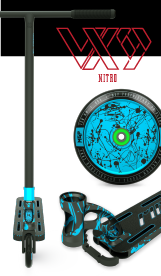 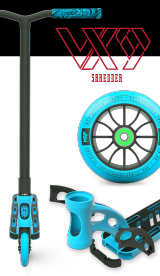 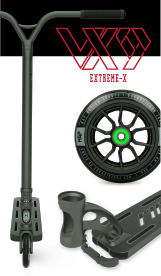 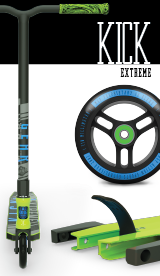 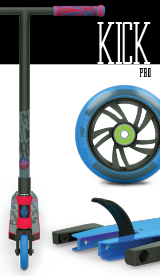 ALL VX9 SCOOTERS FEATURE THE PATENTED 3D FORGED MADD GEAR HEADTUBE. 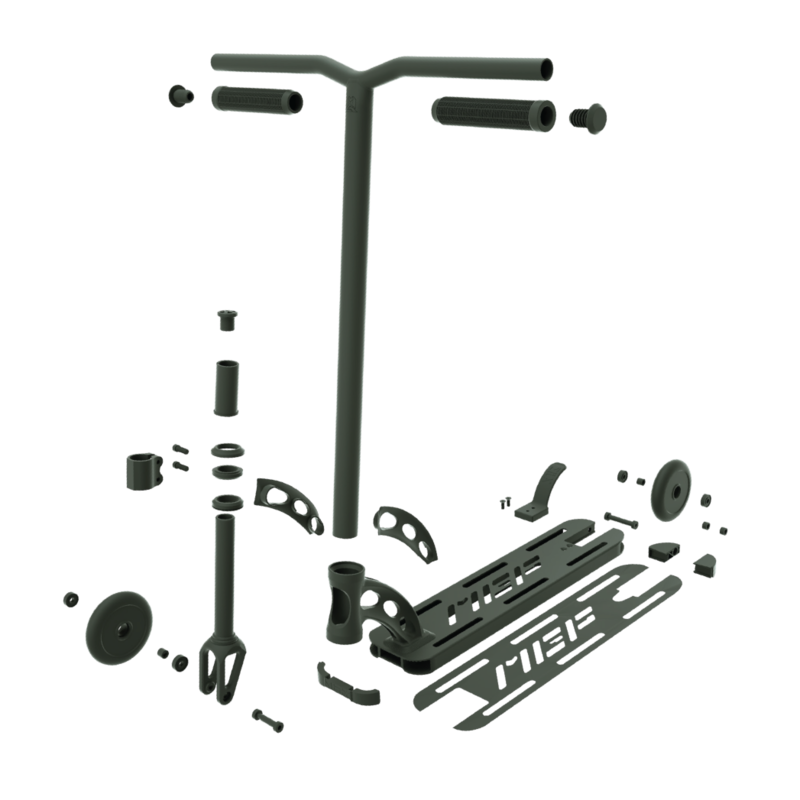 THE PROCESS OF FORGING THE HEADTUBE BOTH PRODUCES A SUPERIOR OUTPUT FOR STRENGTH, DURABILITY AND CONSISTENCY AS WELL AS AVOIDS ANY OVERHEATING, MISALIGNMENT OR IMPURITIES OFTEN SEEN WITH WELDED HEADTUBES. 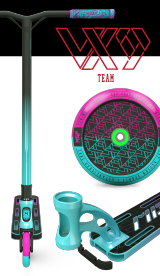 EVERY VX9 HEADTUBE IS MACHINE WELDED TO THE DECK INSURING AN EXTREMELY HIGH CONSISTENCY AND ACCURACY UNMATCHED BY MANUAL WELDING. 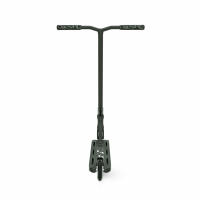 THE MADD GEAR MACHINE WELDING PROCESS MEANS EVERY SCOOTER THAT LEAVES PRODUCTION IS MONITORED BY PRECISE SOFTWARE TO MEET OUR EXACT SPECIFICATION. ALL MADD GEAR SCOOTERS ARE RATED WITH BOTH T4 AND T6 HEAT TREATMENT. 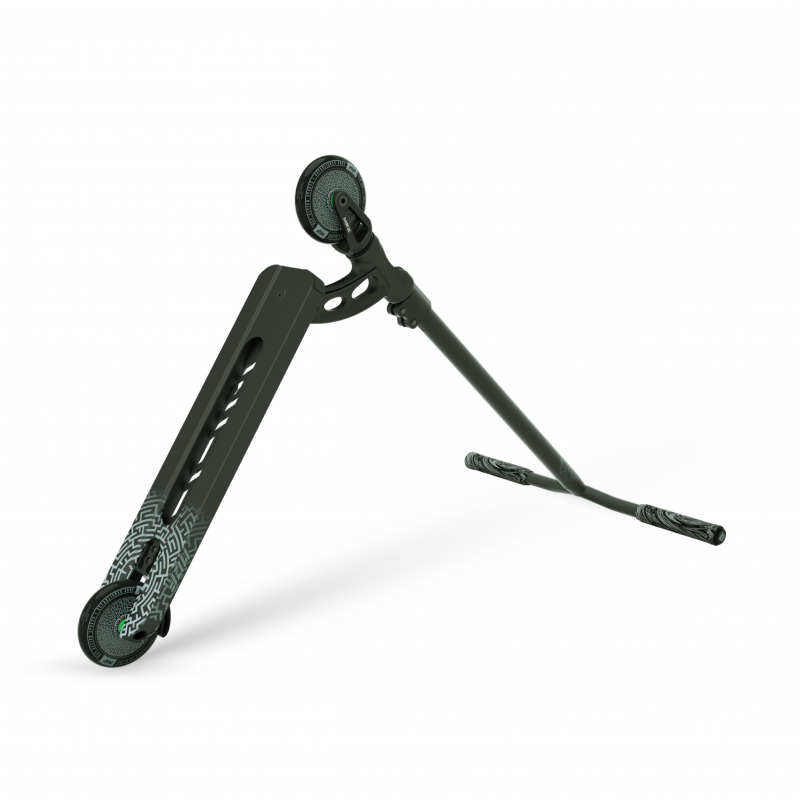 THE 6061 ALUMINUM USED THROUGHOUT OUR DECKS AND BARS ARE FIRST RUN THROUGH A PROCESS CALLED SOLUTION HEAT TREATING AND THEN THROUGH AN AGING PROCESS WHICH GENERATES A MATERIAL THAT IS BOTH STRUCTURALLY STRONG BUT ALSO VERY DURABLE. MGP LIGHT-AF DECK & EXTRUSION – 20% LIGHTER! 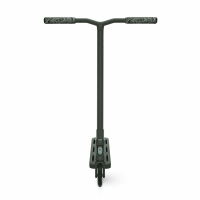 21” X 23” 4031 JAPANESE CHROMOLY LOW RISER BAR – STANDARD DIAM. 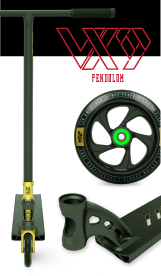 © Maddgear All Rights Reserved.